Junior Lucy Cole, center, offered words of wisdom for freshmen Lindsay Worrell, Liv Aspholm, Keeley Brooks and Lena Nelson before their first high school varsity cross-country race. The Liberty Bell High School cross-country teams switched directions last week, heading west to the Sehome Invitational in Bellingham because air quality conditions were poor in Ellensburg, where the Mountain Lions were scheduled to open their 2017 season. Head coach Erik Brooks said that meet organizers squeezed Liberty Bell in as a late entrant, matching the Mountain Lions against a host of larger schools. 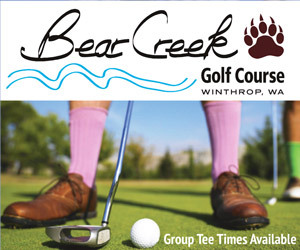 Just having the opportunity to cut loose in clean air was a big boost to the boys’ and girls’ squads, Brooks said. Smoke in the Methow Valley had made training outside untenable. “Bellingham was our first day actually running together as a team since Sept. 1,” Brooks said in his race report. Liberty Bell freshman Andrew Kominak raced well despite the wet conditions. The Methow Valley runners responded with some impressive early-season efforts, Brooks said. Noteworthy among them was Novie McCabe’s first-place finish in the sophomore girls’ race. McCabe took first place in the state 2B meet last year while leading the girls’ squad to the state championship. Her running mate Gretta Scholz took third place in the sophomore girls’ competition at Bellingham. McCabe’s time was second-fastest among all the girls’ age groups. 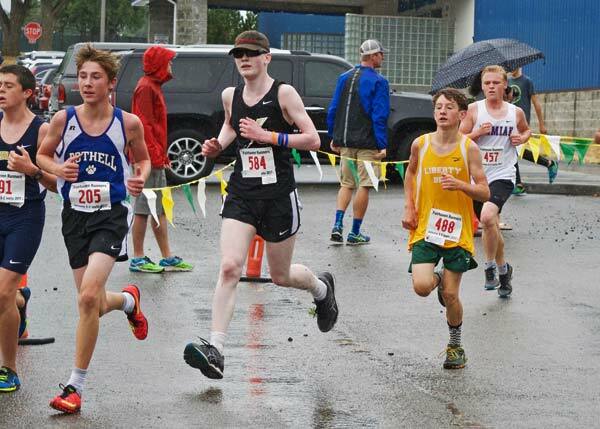 Using a modified scoring system adapted to the age-group format, the Liberty Bell boys — who were second in last year’s 2B state meet — finished 12th out of 30 teams at Bellingham while the girls’ squad finished sixth out of 30 schools. Under the regular scoring system, the boys were 13th out of 27 qualifying teams, while the girls were seventh out of 27 schools. “In both boys and girls races we competed amazingly well with any number of 2A, 3A and 4A schools, and we have a long way to go to realize our full potential,” Brooks said in his race report. Brooks said that several Mountain Lion runners did not compete at Bellingham because of other commitments. 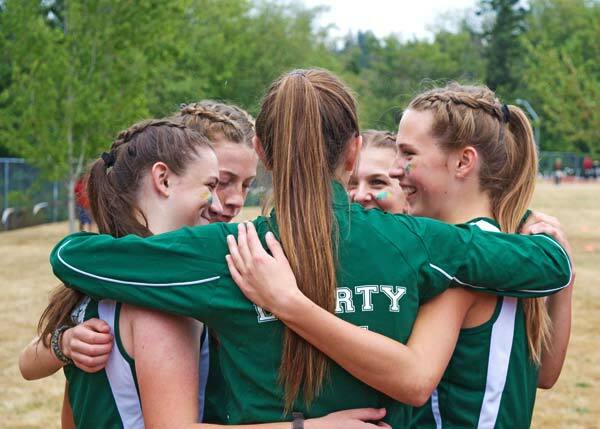 Liberty Bell next competes at the South Whidbey Invite on Saturday (Sept. 16).